Premium protein blend (ultra-filtered whey protein concentrate and whey protein isolate), 100% low DE maltodextrin complex (containing short, medium and long linear chains), natural and artificial flavors, xanthan gum, acesulfame potassium and sucralose. Add one (1) heaping scoop of Pro-Series Whey 25 Hi-Protein Powder to 8-10 ounces of cold water, milk or beverage of choice. Increase or decrease the amount of liquid to tailor flavor and consistency to your desired preference. 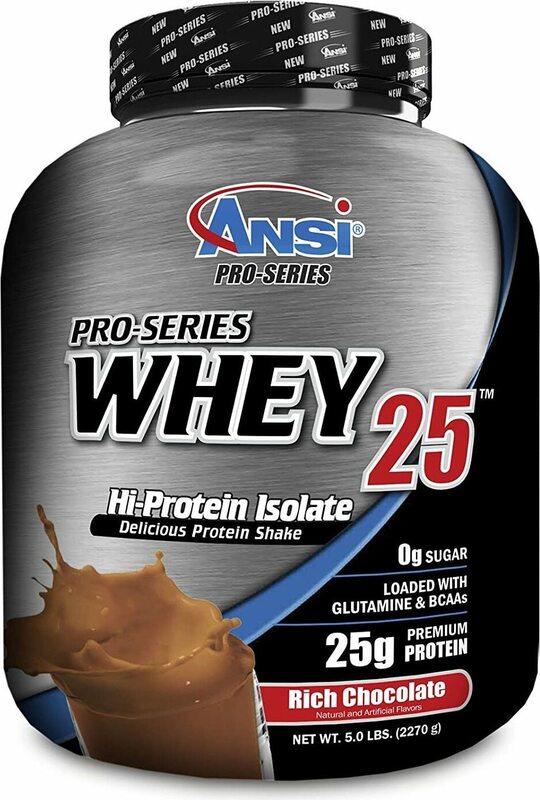 Contains premium whey protein, loaded with glutamine & BCAA's, only 2g of fat (per serving), only 2g of sugar (per serving), not trans fat, no aspartame, mixes instantly, gluten free. Contains milk and soy lecithin. KEEP OUT OF REACH OF CHILDREN. Premium protein blend (ultra-filtered whey protein concentrate and whey protein isolate), 100% low DE maltodextrin complex (containing short, medium and long linear chains), cocoa powder, natural and artificial flavors, xanthan gum, acesulfame potassium and sucralose. Premium protein blend (ultra-filtered whey protein concentrate and whey protein isolate), 100% low DE maltodextrin complex (containing short, medium and long linear chains), natural and artificial flavors, xanthan gum, acesulfame potassium, sucralose and red #40.